A university education doesn’t come cheap these days, what with the costs of tuition, accommodation and living expenses, so the added expense of car insurance is the last thing you need. But you don’t need to commit yourself to a budget diet of just beans on toast just yet, as there are things you can do to make car insurance for students as cheap as possible without compromising on cover. 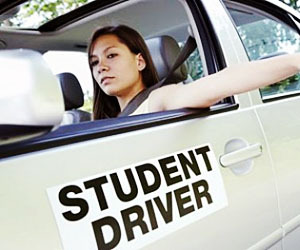 As a group, students are statistically more likely to make a claim on their insurance than older drivers. This could be because students tend to be young people with limited driving experience and therefore more likely to be involved in an accident. Or, it could be because they tend to live in areas with higher crime rates and be more prone to theft or vandalism. This means that student car insurance premiums tend to be higher than average as the insurance companies need to offset the risk of paying out. But there’s no getting around it, car insurance is a legal requirement for all UK drivers, no matter how tight their budgets may be, so students need to work harder than many drivers to get the best possible price for the cover they need. How can I get cheap car insurance for students ? Of course one of the most important things to do is to shop around for car insurance for college students policies. You might want to invest in some extra security for your car if it’s going to be parked in a high-crime student area. Industry-approved steering wheel locks and immobilisers reduce the chances of your vehicle being stolen and a claim being filed, so they can lower your premiums. You could even consider a black box insurance policy, where the insurer fits a small ‘black box’ to your car which measures how much you drive and monitors your driving style, rewarding safe and infrequent drivers with lower premiums. If you’ve not yet bought a car, bear in mind that more powerful and expensive cars cost more to insure because they’re more likely to be involved in a claim for damage or theft. Third party, fire and theft (TPFT) policies can be cheaper than fully comprehensive policies, but remember : they only cover the cost of damage to other people and property, and not your own vehicle. This might be fine if your own car isn’t worth very much, but only if the difference between TPFT and comprehensive cover is small. Adding older, more experienced drivers to the policy as named drivers can reduce student car insurance premiums, as the more drivers there are on your policy, the less time you’ll spend behind the wheel, at least in theory. However, you must never have an older more experienced driver ‘front’ your policy for you, but more on that in a moment. Setting up a policy on your car with someone else as the main driver and you as a named driver is a big no-no. ‘Fronting’, as it’s known, might earn you a much cheaper car insurance policy on paper, but it’s illegal and if you get found out the policy would be invalidated. Worse yet, you could find yourself facing criminal charges for driving while uninsured. If you’re only going to be using your car to visit home during the holidays, you might be interested in temporary car insurance cover, where you only pay for the weeks or months you’re using the car. However, you need to make sure you don’t fall foul of continuous insurance enforcement legislation, introduced in 2011. Under the laws, you have to insure any car you own unless it’s officially declared as not in use with a statutory off road notice (SORN) from the DVLA. Anyone found with an uninsured vehicle not declared SORN can be issued with a fixed penalty notice of £100, and failure to comply could even land you in court and facing fines of up to £1,000. Until this year, female students could at least count on their insurance being a bit cheaper than their male counterparts. However, new legislation from Europe means that insurers are no longer able to take gender into account when pricing their policies. The EU gender directive means that women’s car insurance premiums are likely to rise by up to 30% while men’s premiums could fall by 10%. This makes it more important than ever for female students to shop around and do all they can to get the cheapest student car insurance deal they can, but male students shouldn’t rest on their laurels and assume they’ll get cheap car insurance cover, and should also still shop around.